Oddly Enough, The Beatles Once Owned An Apple Store : The Picture Show Apple Inc. might soon begin selling Beatles' songs on iTunes. 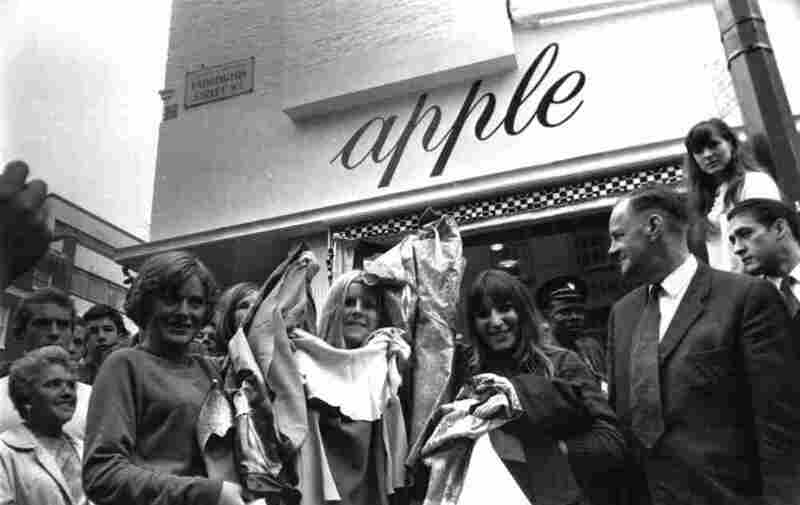 But well before the world went digital, The Beatles had their own Apple shop in London. Although The Beatles have resisted the digital tide, apparently their songs will soon be available on iTunes. Oddly enough, The Beatles themselves founded a company called Apple in the 1960s — to replace their original company, Beatles Ltd.
Over the years, Apple Corps, as it was called, expanded to include Apple Records, Apple Publishing and even Apple Boutique — a posh, upscale store in London. 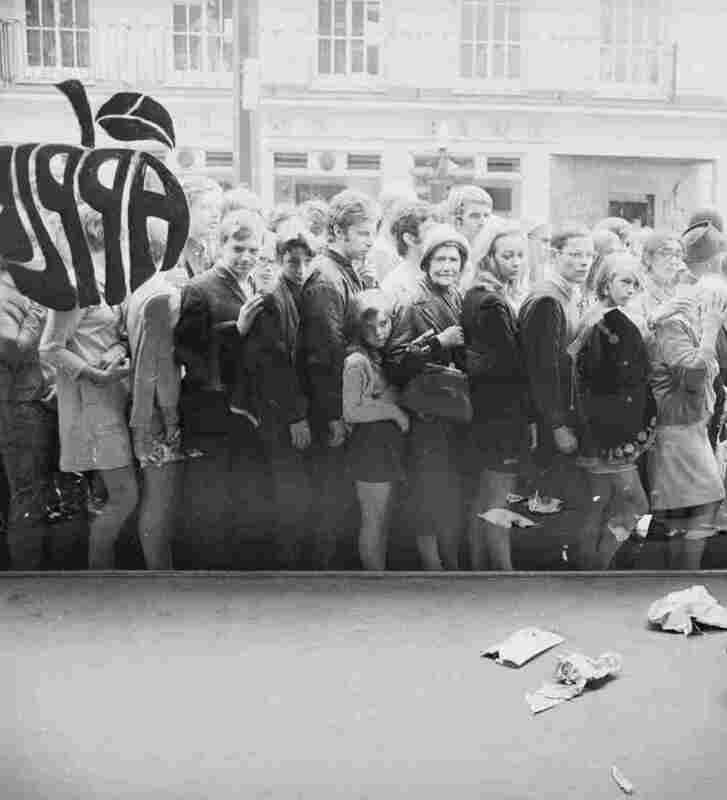 Turns out The Beatles were not made for retail; the store closed in 1968 and they gave away all of the merchandise free. These photos, found in Getty's Hulton Archive, show Apple on its closing day in 1968. As a company, Apple Corps is still alive and well, although it has had a fair number of legal skirmishes with Apple Inc. The latter may have come out on top, but maybe The Beatles would find solace in the fact that they're still owned by an Apple.